Even though there was a frenzy of chaos all around me, I was focused. Little people princess toys, plastic horses and puzzle pieces were thrown at my feet. I quickly glanced at the baby to ensure she was out of range from this terror of toys. She was playing with a plastic cup, good, she’s fine. And I focused back on my Blog Vision Board. It’s how I keep my sanity from a house pretty much run by a toddler. 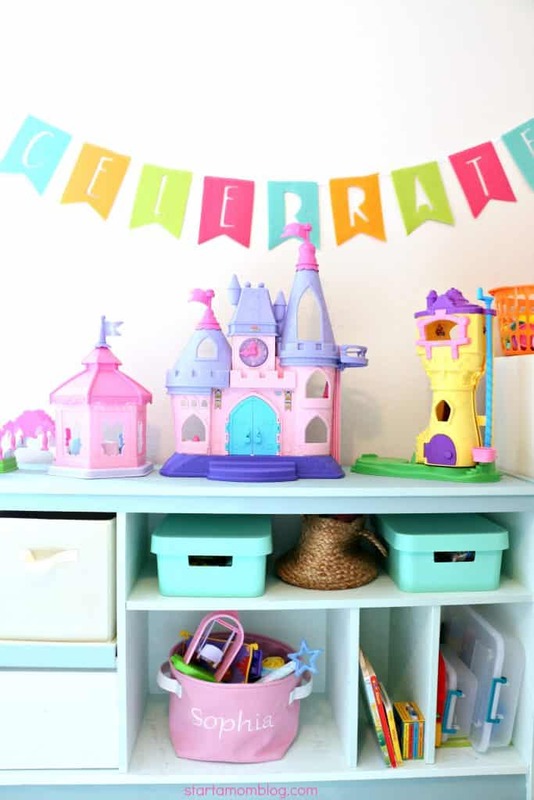 Every room has a strategically placed piece of furniture that is hiding a basket, or bin, or tub of toys. I can immediately tell which room a toy belongs to by looking at it. I have standard locations for everything. But this is not a post about my toddler’s toys in the house, it’s about my toy, my Vision Board. I recently updated my Blog Vision Board because I’ve grown a bit with my blog. I am also constantly testing out new productivity methods and I have transferred my daily to do’s to a bullet journal. So my Vision Board has grown from a daily/weekly task manager, to truly, a Vision for my blog. Because mommy brain is a very real thing, I can only focus on something if I see it physically in front of me. I need and love visual management so much. You may not care for the science behind it, but these are all principles based on Lean Six Sigma. Thank you, Toyota! This is why the Vision Board works for me. 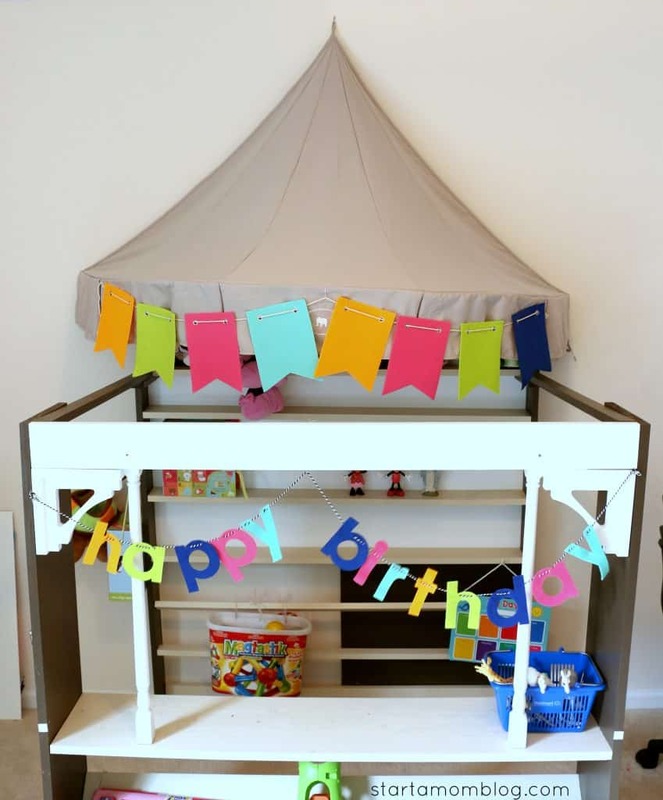 It’s flexible and takes up one of the walls in my toddler’s play room. 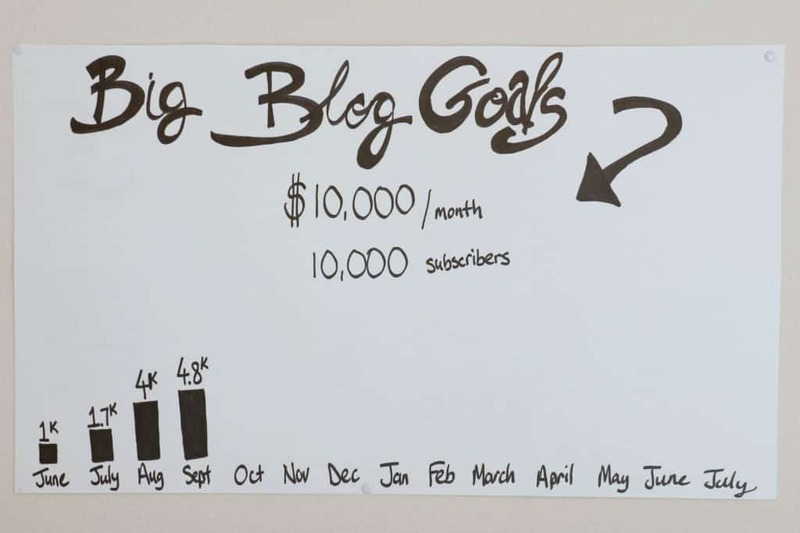 So while she is teaching her princesses to ride horses, I am planning out my blog strategy. And of course this can be applied to any work you do from home. You could be planning out the family Christmas vacation, or your daughter’s path to success into the prestigious Werth Academy, or your freelance work. But having a vision and goals are critical for success in any venture. And especially for the blogger, because as we all know, the world of blogging can get overwhelming very quickly! So if you don’t have your goals, you will quickly fall into every bunny rabbit hole and never accomplish your dreams. 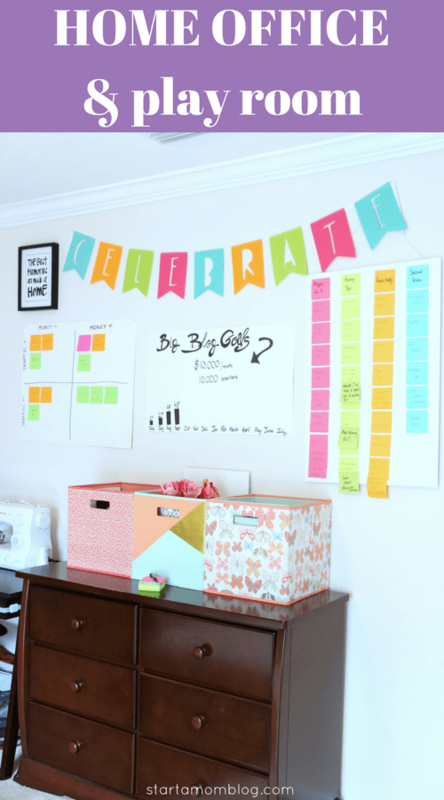 If you need help getting started, you can download my free printables to create your Big Picture Focus Board. 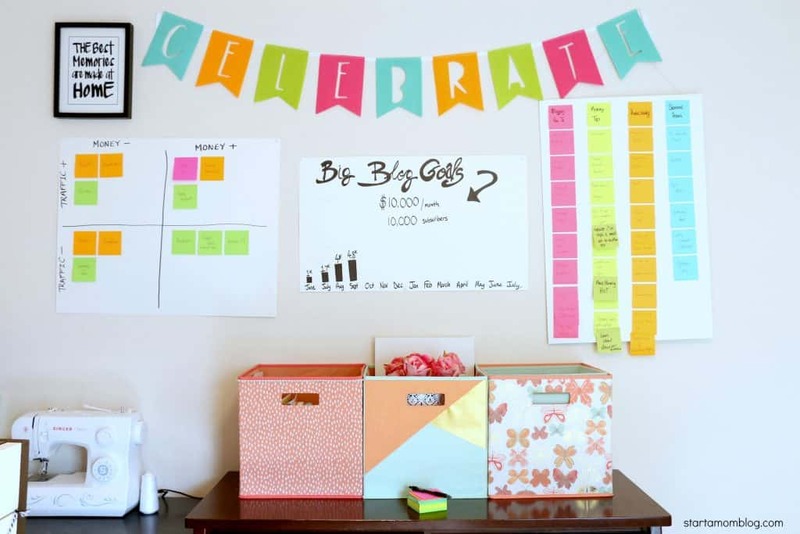 I thought it was applicable to use the “Celebrate” banner ($3 from Target) above my vision board. My blog is successful and that should be celebrated, right? A negative attitude dulls my productivity. I sometimes have my computer in the playroom too. But more often than not I’m jotting down notes in my bullet journal and adding post it notes to my vision wall. I spend time in front of my computer early in the morning or during nap times when the kids are sleeping. In the colorful pins right below my vision board are all my props I use for stock images. Things like faux flowers, an old mac computer, stationary, colorful pens and pencils, post it notes and other little odds and ends. No matter what business you run from home, always make sure your goals are clear and right infront of you. If you fiercly focus on your goals, you will attain them. 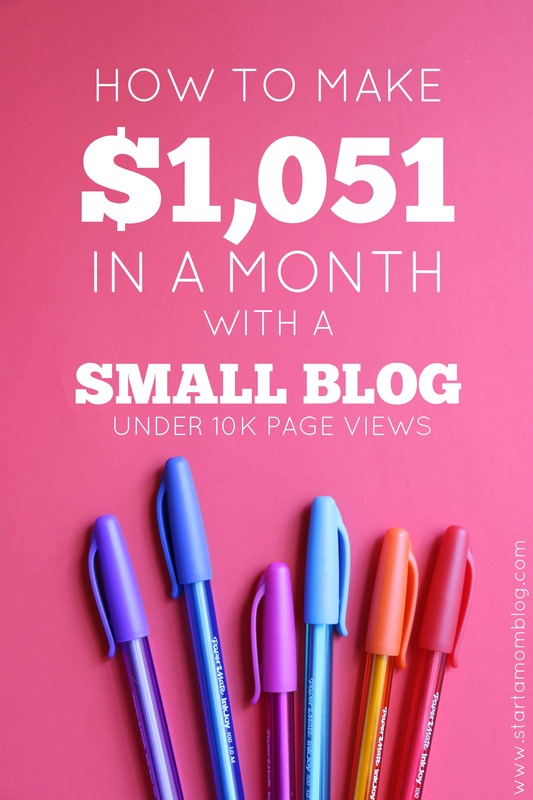 The one mistake I have below is that I don’t have a deadline to reach $10,000/month with my blog. I am hoping it will be December, but more realistically, I am aiming for year from now, by July 2017. The graph at the bottom of the poster shows my progress so far. Right on track! And I’ve added my subscriber numbers on post it notes for each month (not shown). But currently I am just over 4K email subscribers. Thank you to everyone who is on my list! This Tracker is Pure Gold! This is my What Works / What Doesnt Work board. 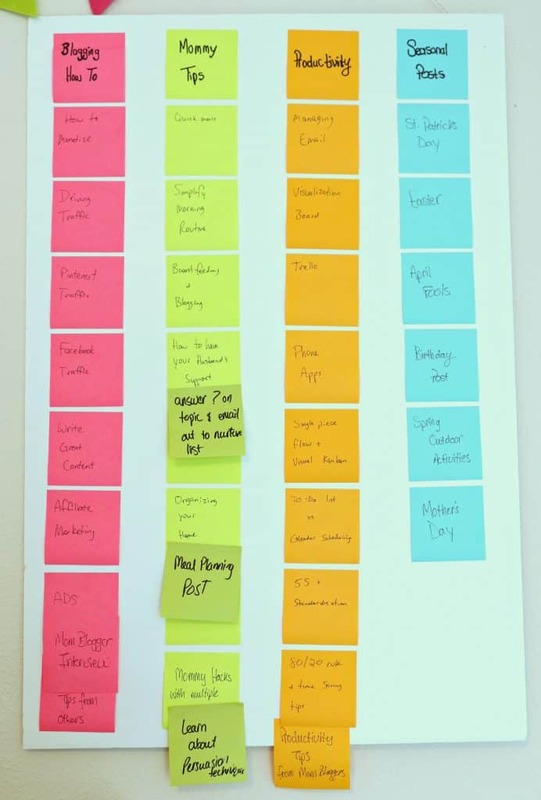 It’s very similar to my Priority board that I use when I get overwhelmed. It goes off of the Eisenhower matrix too. You can replicate this for any two metrics you want to analyze. The top left are actions that bring in traffic to my blog, but do not bring in money directly. Top right are actions that bring in money and traffic. Bottom left are things I should not spend my time on (right now). I only use Twitter and Instagram for networking purposes, so they are not yet huge drivers to my site for traffic. Bottom right are things that bring in money, but not a lot of traffic. Such as guest posting or 1:1 emails. These actions convert well into sales of my products, but the traffic is short lived. 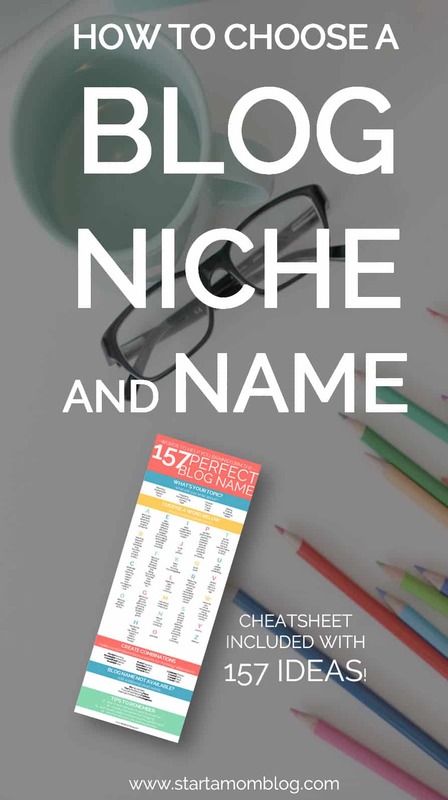 Keep track of the levers you can pull in your business and what moves the needle. 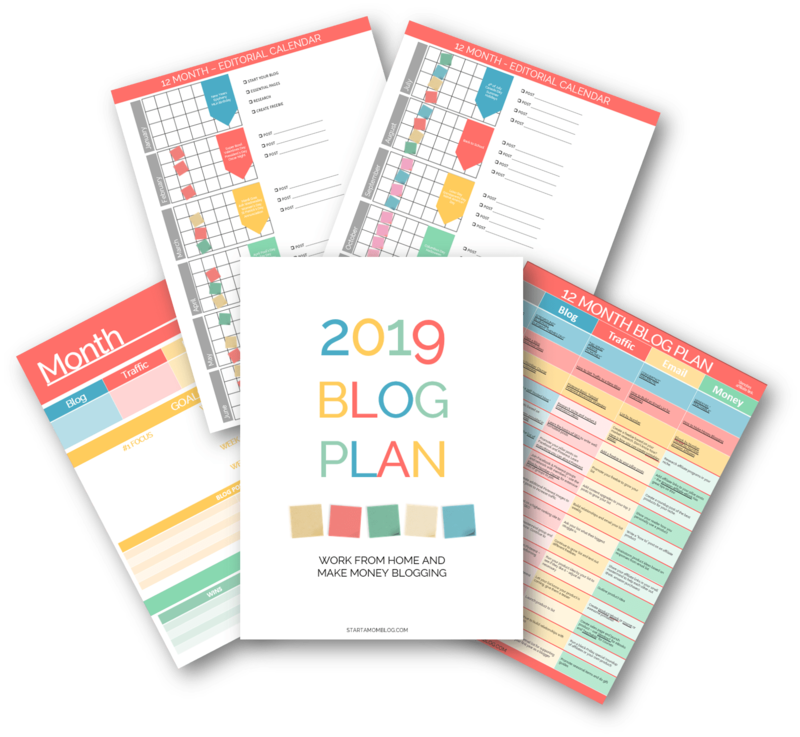 This will help you stay focused so you’re working on the RIGHT things, not just ‘staying busy.’ Because admit it, how often do you spend time commenting on posts on Facebook and blogs and wonder why you’re not increasing your traffic or making any money? Are you actually moving the needle, or are you just feeling busy and productive? Overwhelmed? Then stop. Go brew a cup of coffee. Put down your phone. And drink that coffee in silence. All you need to have is a pen and paper. Now write down your goals and make a list of things you need to do to get there. I do most of my blogging when I’m not in front of my computer. Sounds strange, right? I am constantly thinking and strategizing about my blog. Reading good books. Listening to podcasts. Or talking to my husband. It’s impossible for me to be on my computer for 8 hours a day. So when I’m driving or doing the dishes, I’m trying to figure out, what does my customer really want? How can I make her life easier? How can I help her? Then when I do get time to type and be on my laptop, I know what I need to accomplish. I have a plan for every naptime or bedtime. Computer time is NOT thinking time, it is DOING time. I still have my post ideas board. When an idea pops up I’ll add it to this board. Some of them become real posts, some not. Seasonal posts? What? What are they doing on there? While the babies are playing at my feet I enjoy placing post-it notes on my boards. Here is where I keep track of the day to day tasks. I started looking at bullet journals because people were creating the most beautiful layouts. 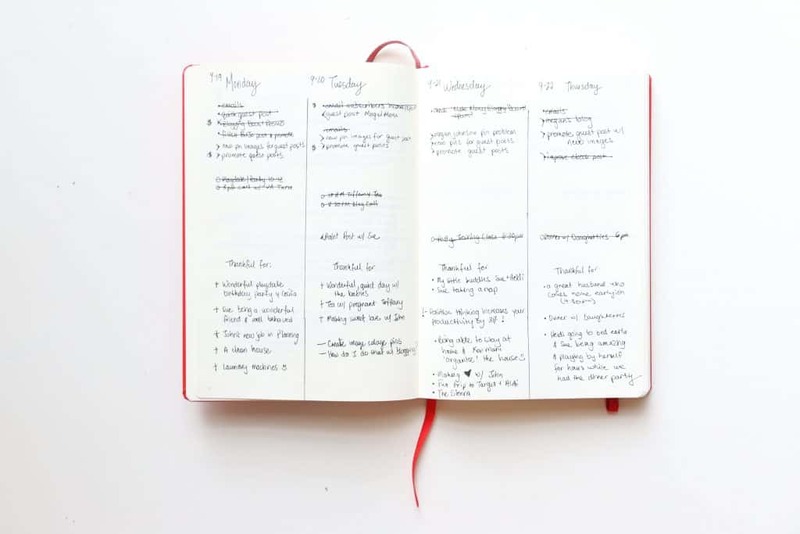 But after a bit of research I fell in love with the structure and lean concepts behind the bullet journal methodology. It’s clean and simple – a stark contrast to my life as a mommy. And bonus, you can apply my super popular simple weekly scheduler in it! Trust me, you want to click on that link and read it when you’re done with this post, it’ll open in a new window. Here is a quick video on how I use my bullet journal. Flexiblity will enable me to be successful no matter what my circumstances are. If I need 100% silence, a Starbucks coffee, 75 degree weather and both babies to nap for 2 hours I’ll never get anything done. As moms we learn to manage and adapt. 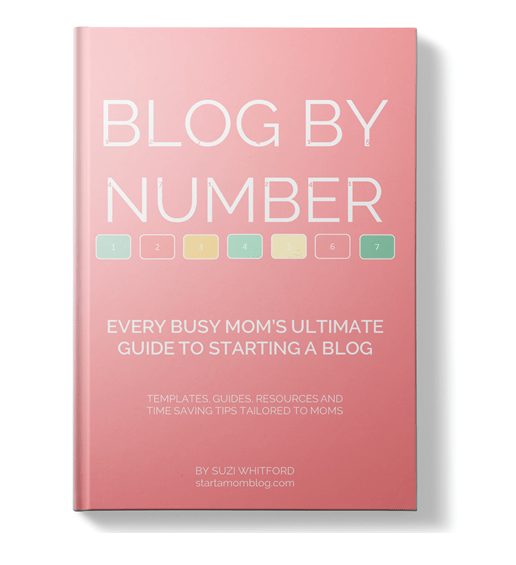 If you want to start a blog and business from home, you can do it too. I know you can. 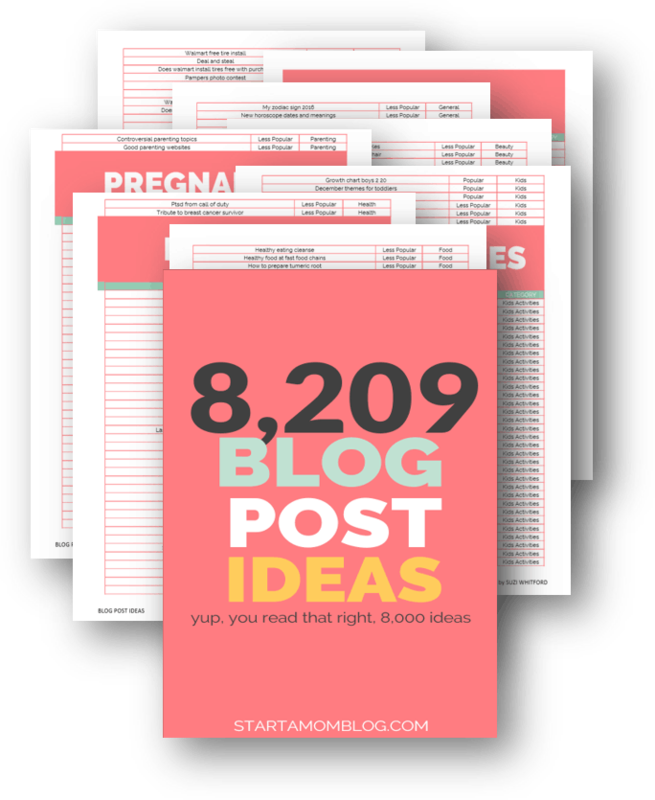 If you can grow and raise a little human being, you can easily start a blog and share your amazing advice and experiences with others. 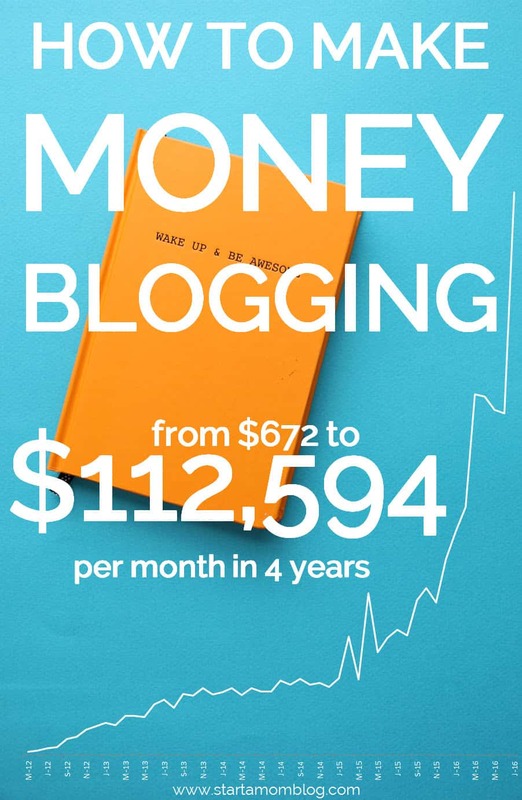 Not only will blogging enable you to make money from home (eventually). But for many women it is a solution to postpartum depression, anxiety or loneliness. In all honesty, blogging has enabled me to continue to use my college degree in creative ways. My 5 years in college is not ‘wasted’, it’s adapted, and I love that! And just to show off a little more of my toddler’s play place paradise, here is her circus / shop. It’s not her birthday, but I just love the bright colors so I keep the sign up. Also, she thinks it’s the alphabet so she sings the song when she sees the letters. 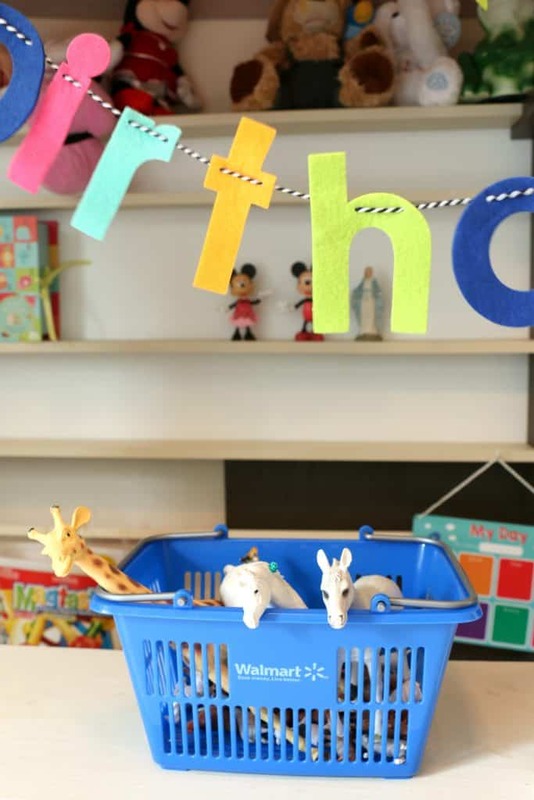 Below are all of her favorite horse toys, neatly packed in a little Walmart shopping basket. And at the top of the picture are her musical toys. Those loud obnoxious singing bears and frogs. Mostly given to her by her great grandparents. I love them, but I hide them on the top rack. The abundance of little people princess castles are adorable. I love how cute her toys are! I don’t look forward to the time when she will want to play with Barbies. Her innocence and curiosity are lovable. So instead of becoming stressed and overwhelmed with the sea of toys at my feet, I am calmly okay with it. 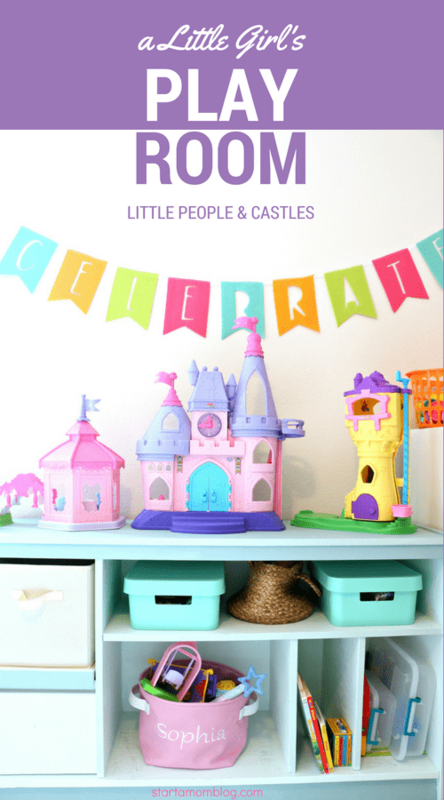 While my toddler and plastic little people (especially this little purple one) run the house, I can still manage a successful blog, create amazing products and grow my income from home. You can do it too, I would love to teach you how. Any questions, please email me or leave a comment below! 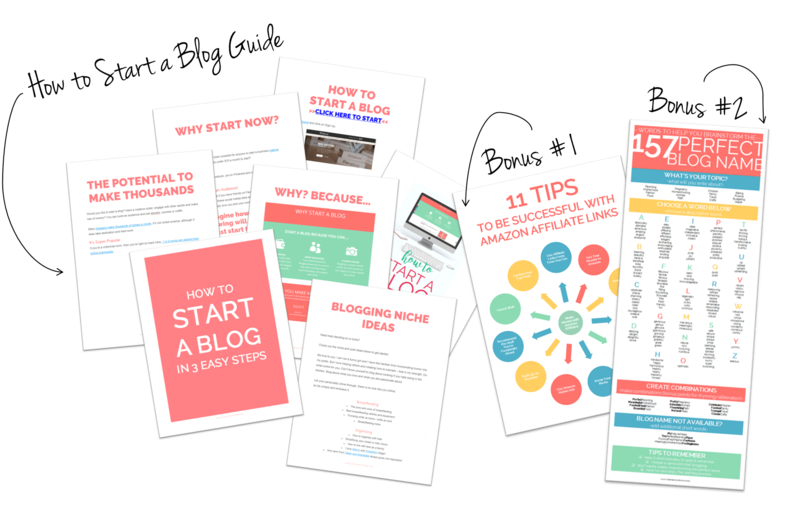 Instantly Download the “How to Start a Blog Guide” + 2 Bonuses! You’ve inspired me to create my own Blog Vision Wall. I picked up this huge corkboard at a yard sale earlier this year that is hanging over my desk with a bunch of little doo-dads pinned to it at the moment. Things like ticket stubs from the first ballet performance I attended, great report cards from the kids (from about 4 years ago lol), bills to be paid … none of which really inspires me as to where I want to go and what my goals are when I look up from the computer. This is a great idea! Thank you so much Kim! I agree – use that valuable space right in front of you to inspire you to work for your passion! Constantly looking at bills can cause stress. And also constantly being reminded of the past (even though I’m sure the ballet was a lovely experience) keeps you from focusing on the present. Thanks for stopping by! Send me a pic of your board if you want to share it! I love seeing how other people set their goals & their thought process! Thank you Jess! I hope seeing what I do helps motivate you too! Always happy to see you on my blog! I just got to sit down and read this and what I admire so much about you is how much you can get done with your kids at home. Sometimes I wonder if I actually had less time alone if I’d be more productive. I work best under pressure and I think I may actually have too much time with preschool and I spin my wheels a lot. When I was getting my MBA my favorite book was about Toyota!! Great tips as alsways! I love the visual aspect of using sticky notes. Have you ever used Asana? 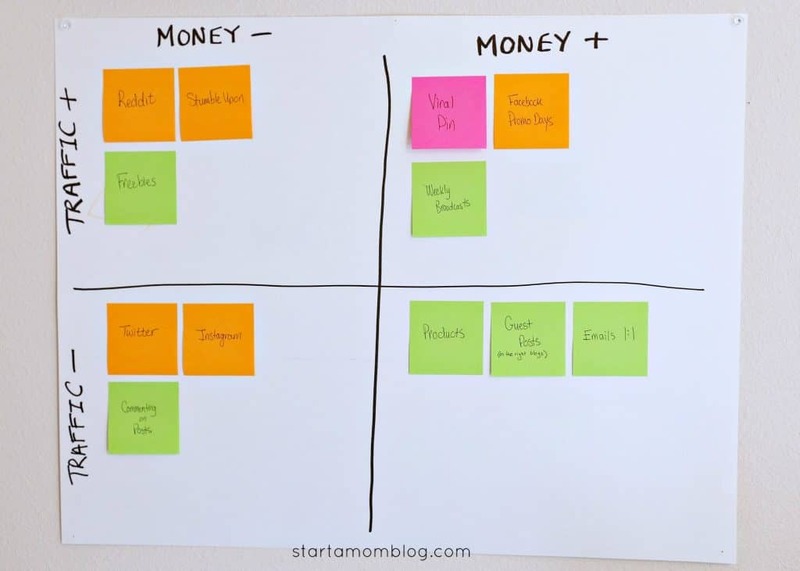 It is an online project management tool (www.asana.com) that I love for both blogging & personal management – and it has a board view that simulates this very well! Thanks as always for all your inspiration, Suzi!